This highly unique pendant charm depicting a sliding puzzle game. 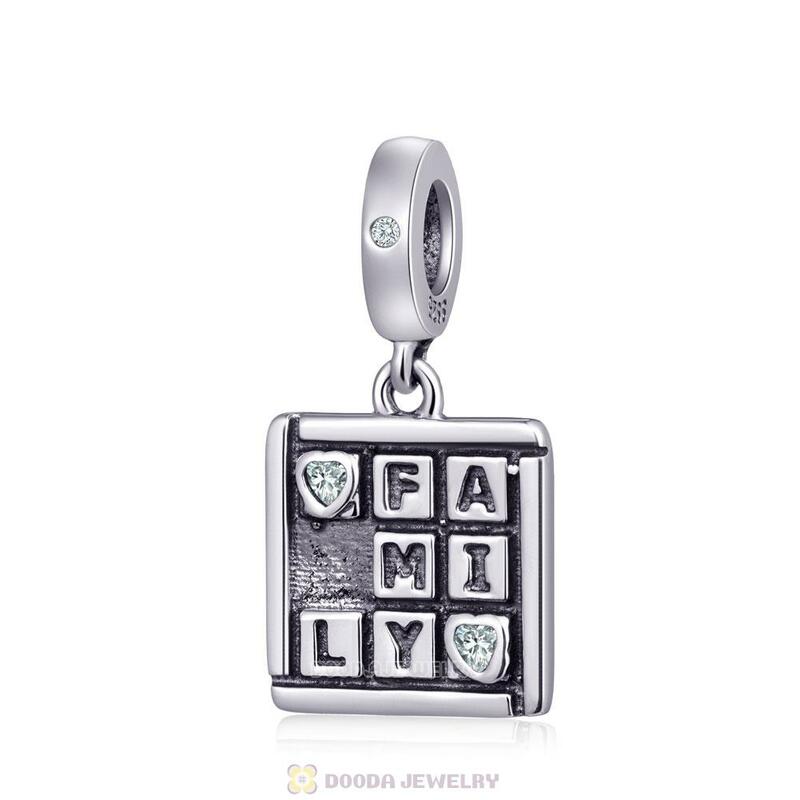 The nine piece ‘Family’ puzzle also contains two squares which feature heart shaped cubic zirconia stones giving the piece a subtle sparkle. A further sparkling cubic zirconia stone has also been set into the bale of the charm providing the perfect finishing touch, resulting in a stylish and sentimental piece.